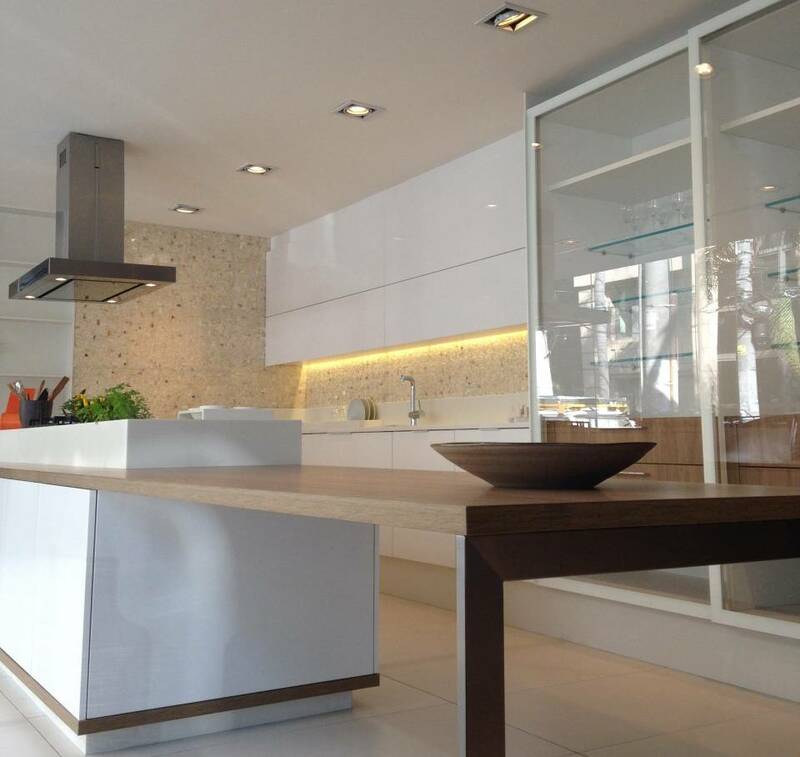 Innovative kitchen design is in high-demand these days. That’s easy to see and experience the moment you walk into the Phil Kean Kitchen & Bath showroom in Winter Park, Florida. You’ll find all the hottest 2018 kitchen design trends—from lighting and fixtures to gorgeous counters, cabinets and smart appliance collections—all just waiting to be incorporated into the kitchen design of your dreams. With exciting kitchen design trends showcased at the NAHB International Builders Show in Orlando in January, as well as chic, international trends for 2018 highlighted recently by House Beautiful UK and the kitchens lighting up America’s screens on HGTV, we’re seeing kitchen design that will make your mouth water! Here are a few of our favorites. We’re seeing color used to create a gathering area within the larger space or draw the eye to specific features. Almost equally, metallics such as golds and bronzes are being used to further elevate the ever on-trend palettes of neutrals and grays, which brings us to our next trend of note. 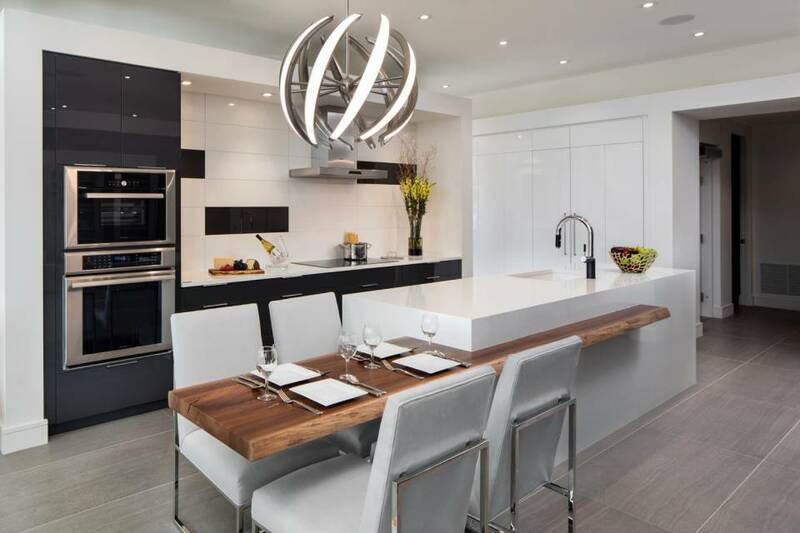 “Today’s and tomorrow’s innovative kitchen designs are all about making a personal statement of how you feel about the heart of your home and how you want to use it,” says Phil Kean. Personalization is a hot trend that makes finding a design expert you can work with key to getting the results you want. From color and contrast and mixing the latest smart appliances and fixtures with alluring natural materials like rich woods and stone, to lighting that takes center stage or illuminates with subtle grace, putting it altogether in a kitchen design that says “this is ours alone” takes a master’s touch. 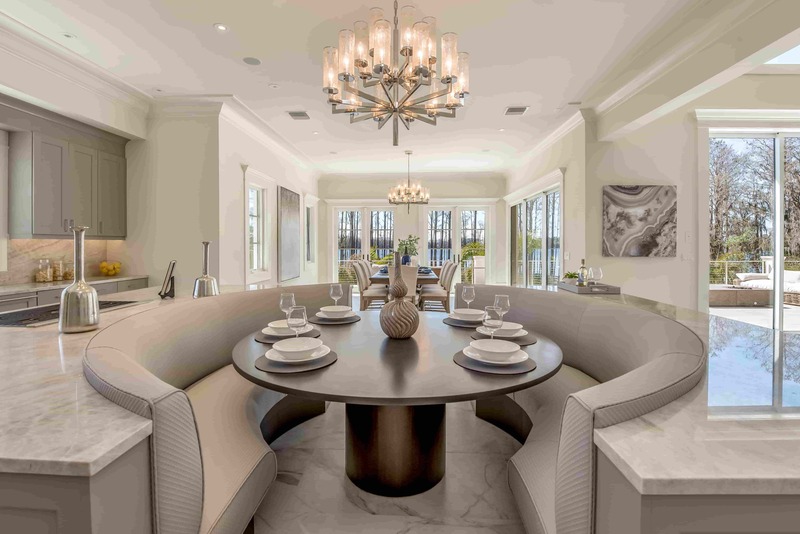 Working with custom kitchen designers like Phil Kean and his team, who go above-and-beyond to bring homeowners’ personal vision to life, lets you access an incredible array of the latest design collections. 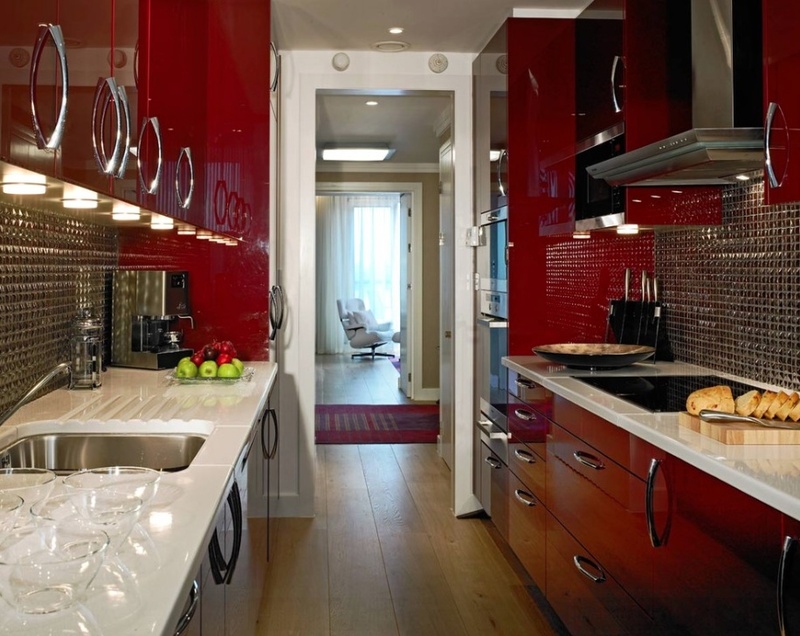 That extra layer of customization can make all the difference in your new custom kitchen design or kitchen remodel. If there’s one kitchen design trend for 2018 that’s front and center, it’s multi-function islands. With the rise of the gourmet home chef megatrend, having your new kitchen designed to your very own tastes, cooking habits and socializing style means focusing on making the most of what an island design can do for the look of your kitchen as well as its functionality. The hot trends in 2018 range from islands that feature appliances you can program from your smart phone to seating that brings your guests into the picture with a cozy feeling of inclusive warmth. Different island shapes are also in demand and wrap-around seating gaining popularity. 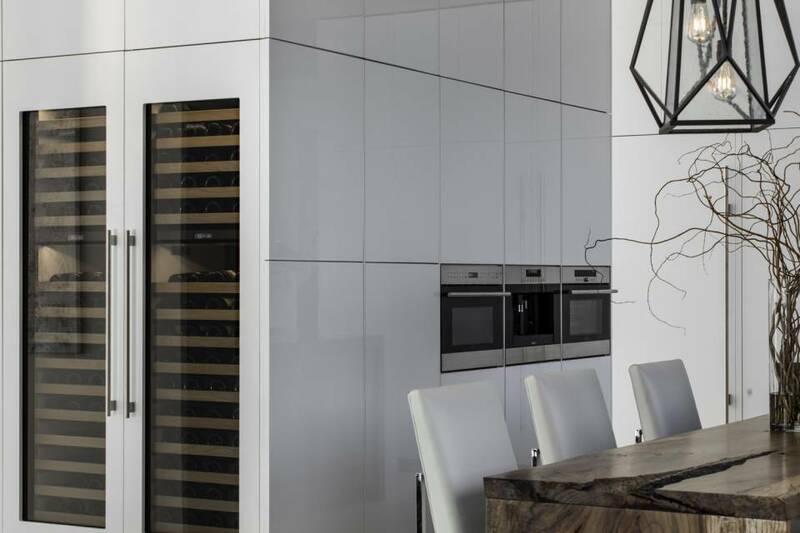 Customizable, couture smart appliance collections that you and your custom kitchen designer can coordinate to maximize visual impact and ease of use is what it’s all about. We’re talking smart appliances featuring designer metals, colors and textures or appliances that disappear from view altogether. “The design options are really broad this year,” exclaims Kean. Multiple ovens have also appeared as a top trend, and where you place them will be key. This where having a personal kitchen design team like the pros at Phil Kean Kitchen & Bath is vital in the making the best choices for you. Custom decorative fixtures, pendant lights with jewel-tone pops of color, task lighting with pizzazz, recessed lighting from whole walls of transparent shelves to contained showcases for sculptures and the like—lighting continues to shine as a top trend in kitchen design. 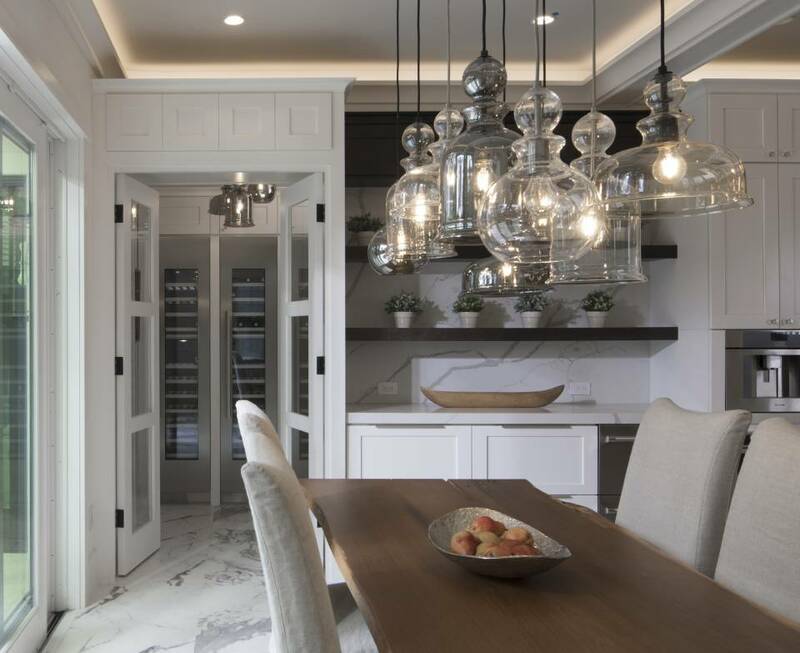 “Layered lighting continues to be a kitchen design trend that will give your kitchen an undeniably personalized ambience, whether you’re going for warm and sociable or a refreshingly sleek, inviting artistic vibe,” states Phil Kean. Our exclusive lighting collections allow us to create stunning kitchen designs, like the one above from our recent New American Home Remodel that took top kitchen design honors in 2017. One of our favorite kitchen design trends in 2018 is the growing use of gorgeous sustainable woods, natural stones and other green materials that can give backsplashes, countertops and flooring an exciting presence and pop. That happens to be a trend that Phil Kean and our design group have brought to the forefront in recent years. Full-wall black splashes are also in demand right now—the more luxe the materials, the grander the impact. And don’t forget fixtures, hardware, sinks and faucets. Gorgeous shapes, materials and smart features are making these one-time workhorse elements into show stoppers in their own rights. For more information about custom kitchen design trends in 2018 contact Phil Kean Kitchen & Bath to schedule your private consultation.